Tonight is the CFDA awards; the Oscars for fashion designers (and “the biggest night in Fashion you have probably never heard of“). And for the fourth year in a row, I have the privilege of attending. Although I am a big nobody at these award shows, it is still fun to get all dressed up and see all these celebrities up close and personal. While I’m not overly excited about Kim Kardashian, I am SUPER excited that my girl crush Busy Phillips will be there — who I love with all my heart. I am going to make it a mission to seek her out and tell her how much I love her….I hope it’s not awkward. BUT I LOVE HER. CFDA 2017. 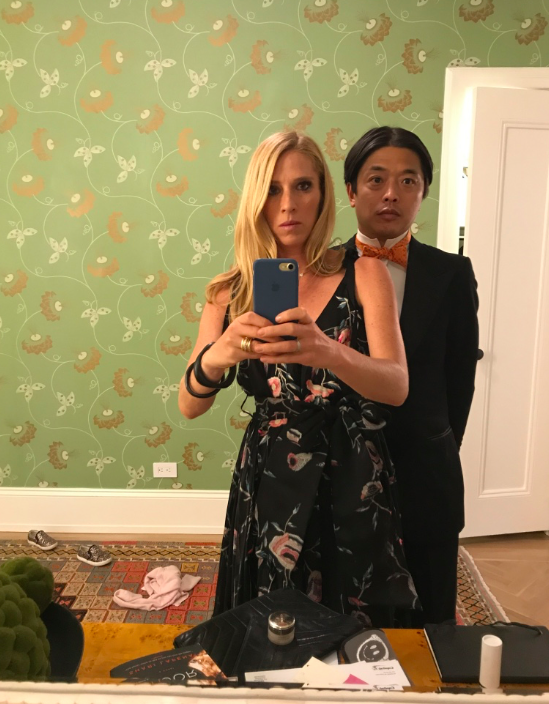 Me and my hubba hubba date, Ken Natori. 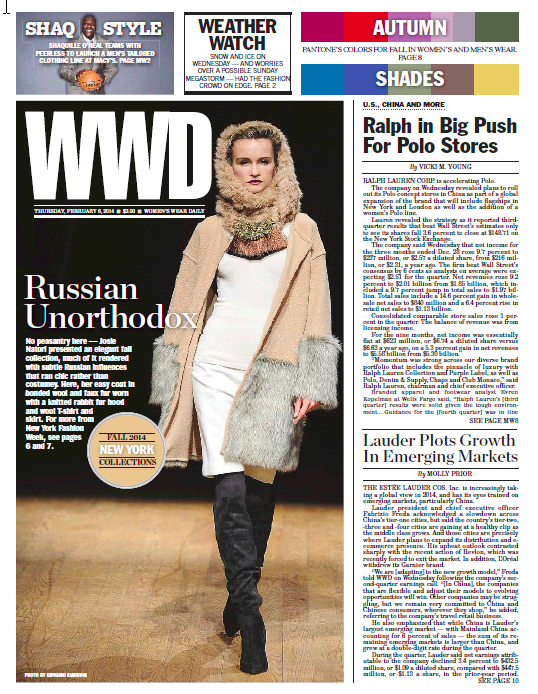 Not snow, not rain, not freezing rain, not 8 inch deep puddles of slush could keep people away from attending the Josie Natori RTW Fall 2014 show! Despite being smack dab in the middle of a snow storm (thank you, Mother Nature), the show went on. And what a great success it was! Such luxurious glamour, warmth, attitude, and chicness. I can’t wait to get a hand on these items! Congratulations, MIL! Here are some photos from the show. I tend not to wear a lot of makeup, but the makeup that I do put on, I love. These three beauty products are new additions to my bathroom cabinet, and I can’t get enough of them! Launched in 2004, Hourglass Cosmetics is a paraben-free beauty brand that offers the most luscious and beautiful lip colors. I am particularly fond of the extreme sheen lip gloss which is deep, shiny, and luxurious. The active ingredients also hydrate the lips which prevents them from cracking or chapping. 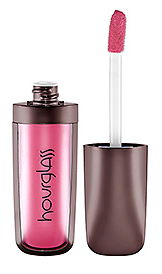 The lip gloss goes on smoothly, adds a punch of color, and relieves thirsty lips without flaking or drying the color. This lip gloss doesn’t have the stickiness that many others have. It adds color without being overly matte, is hydrating, and gives off the perfect amount of shimmer and sheen to the lip. Small enough to hide in the palm of your hand. Is there anything that Chanel makes that isn’t super fabulous and first class? So apparently, I am one of the last people on this planet to find out about the Beckerman sisters….but better late than never, because now I have a new blog to obsess ever! 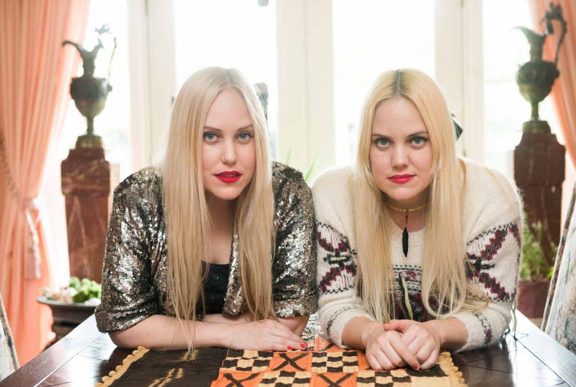 The Beckermans are three (yes THREE) stylish, sassy, blonde sisters. Almost four years ago, they started blogging their outfits online and instantly became a hit — so much so that they have teamed up with major brands (Nine West, Juicy Couture, H&M, etc…) for collaborations. Two of the three Beckerman Babes! The trio, Caillianne (love the name! ), Samantha, and Chloe, chronicle their outfits on the blog with their wit, humor, and style. 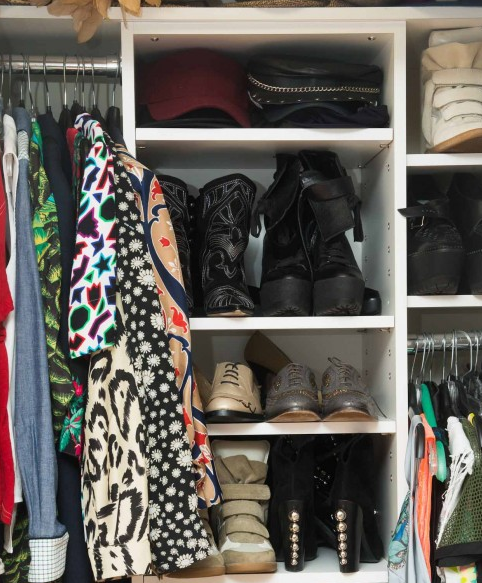 So who better than The Coveteur to take a look inside their closet to see their flea-market finds and designer gems! Here are exclusive photos of the Beckermans a la Coveteur style! Shoes, patterns, colors, textures, fun fun fun and more fun. 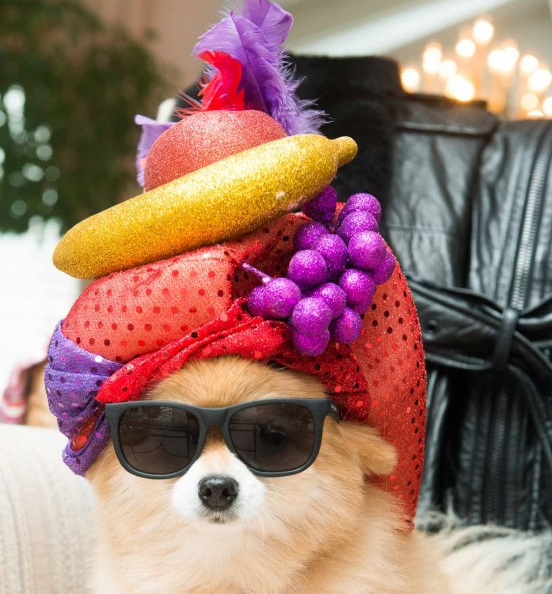 Why hello there, little pooch with a hat and a banana and sunglasses.